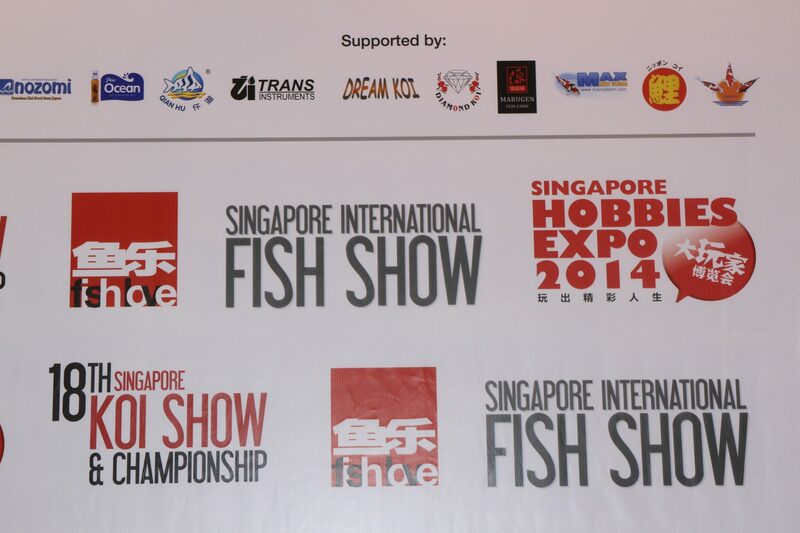 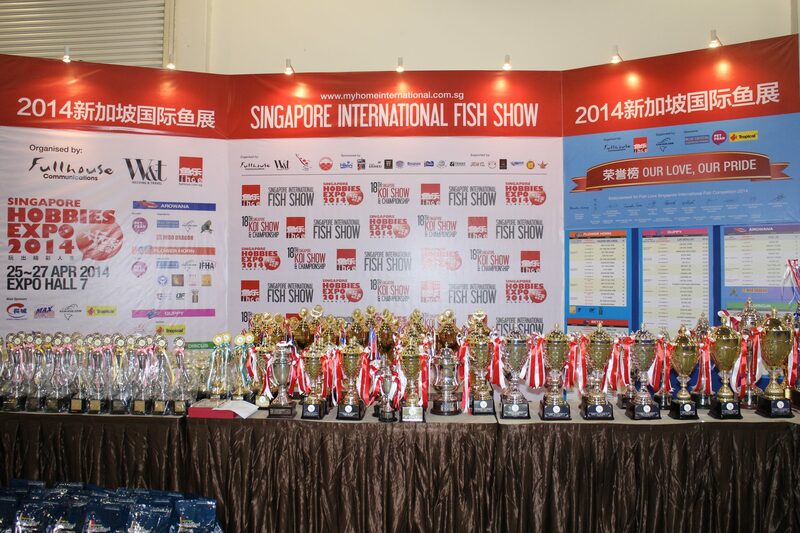 Marugen Koi Farm is pleased to participate in the recent 18th Singapore Koi Show & Championship 2014. 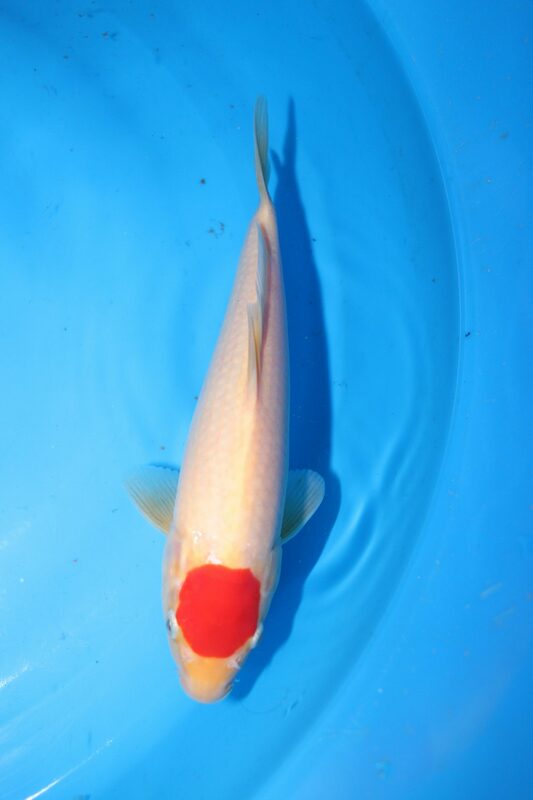 Entering a total of 38 kois, and despite intense competition from many show quality fishes (total of 480 entries in this show), we are happy that 20 pieces of our Marugen bred fishes managed to get placings in their individual categories; of which 7 pieces clinched 1st Prizes, 6 pieces clinched 2nd Prizes, and 7 pieces clinched 3rd Prizes. 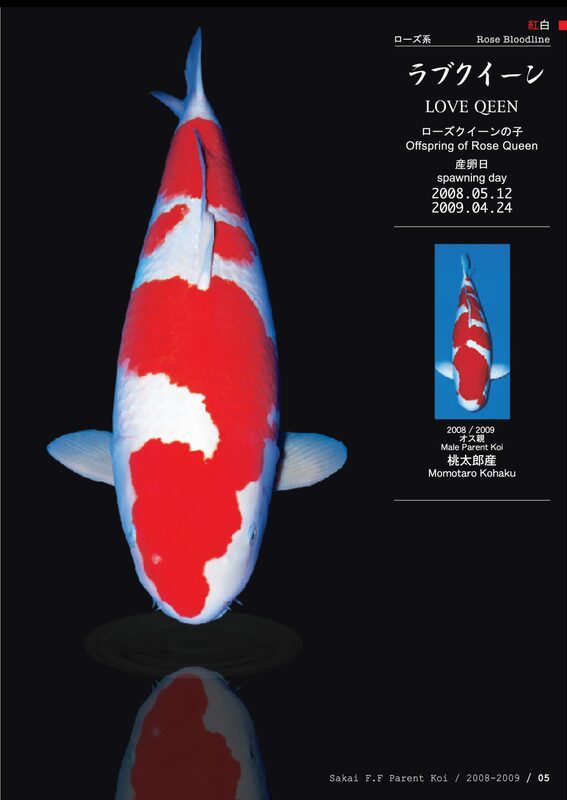 Special mention goes to a Kinginrin Shiro Utsuri, which after winning 1st Prize in the Kinginrin Class A category, went on to clinch Best In Size for Gosanke 20BU, and were then unanimously awarded Mini Champion by all the judges. 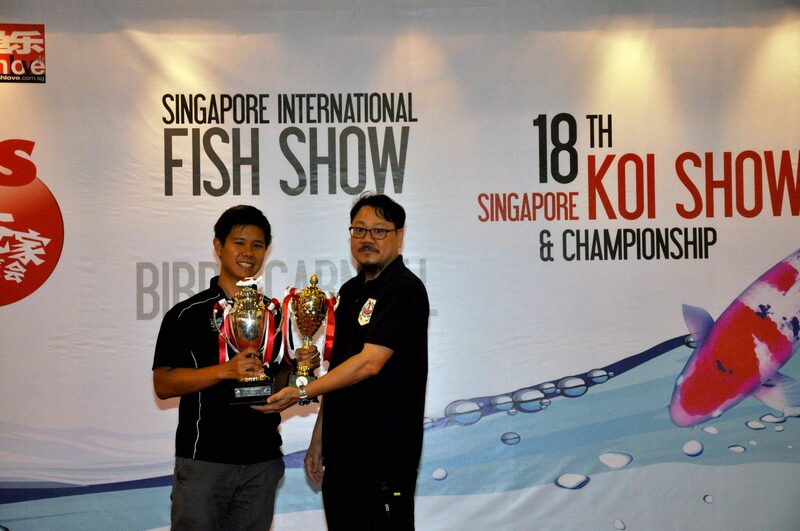 Marugen Koi Farm wishes to congratulate and appreciate the owner of the 18th Singapore Koi Show & Championship 2014 Mini Champion, Mr Lester Pang, for his valued support and trust in Marugen Koi Farm. 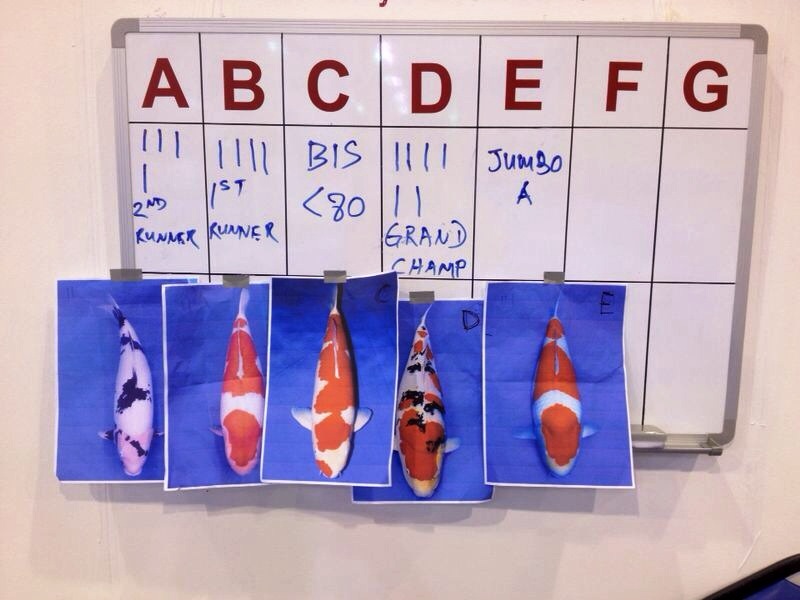 The fight for Grand Champion was also very intense this year, with a total of 5 very high quality super jumbo contenders. 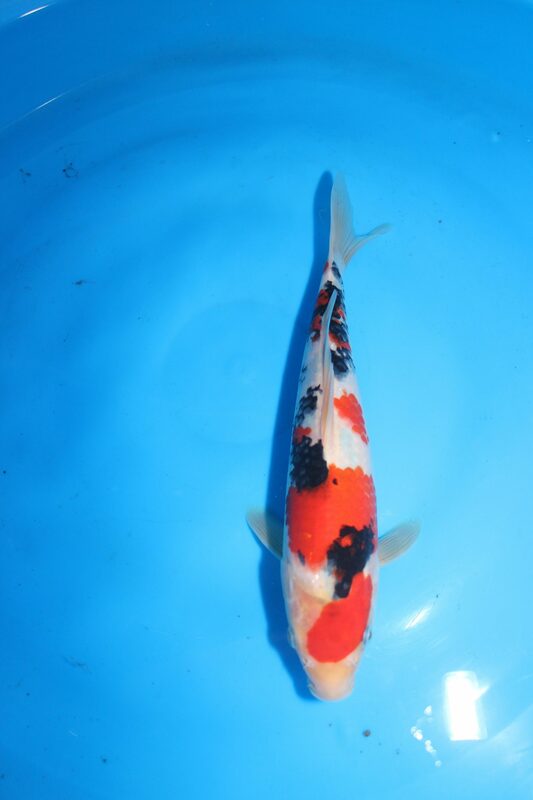 A Sakai bred 88cm Taisho Sanke was unanimously voted by the judges, and became the 18th Singapore Koi Show & Championship 2014 Grand Champion. 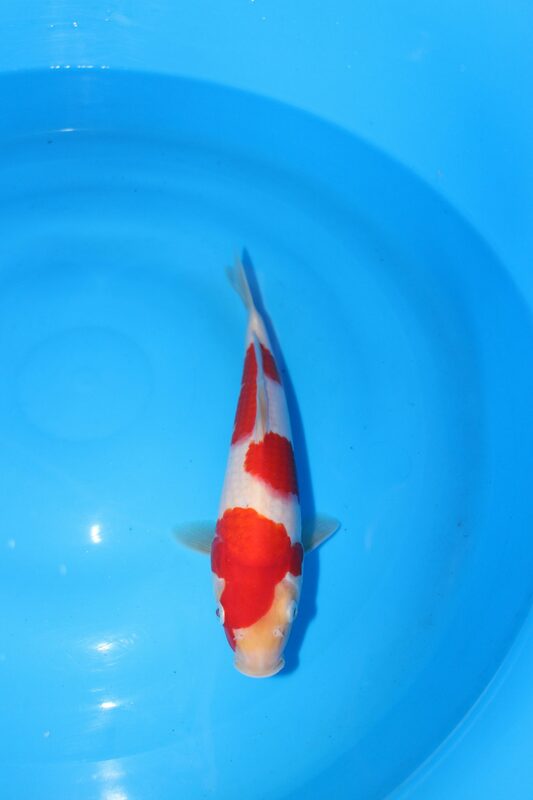 She is owned by Jeremy Goon, and handled by Max Koi Farm. 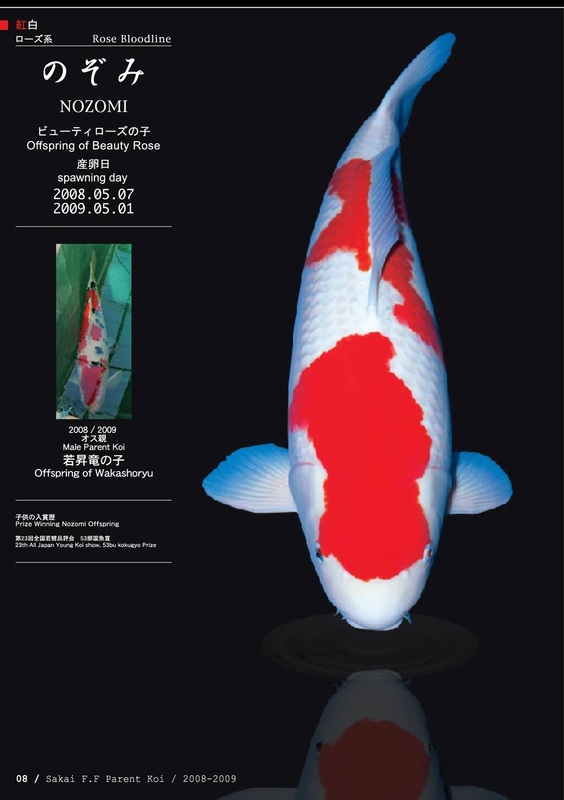 Other notable winners from Marugen Koi Farm include a lovely kohaku, which clinched 1st Prize in the 25BU Kohaku category, beating off very intense competition within its category, from very high quality koi entries, mostly Japan imported kois from renowned Japanese koi breeding farms. 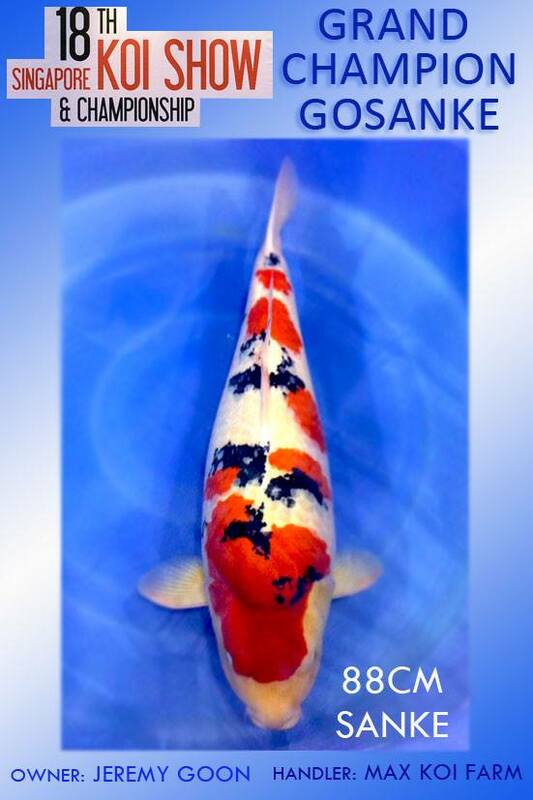 Marugen Koi Farm wishes to congratulate and appreciate the owner of the 1st Prize winning Kohaku (25BU), Mr Pang Hon Seong, the Koi Show Chairman for his valued support and trust in our Marugen bred kois. 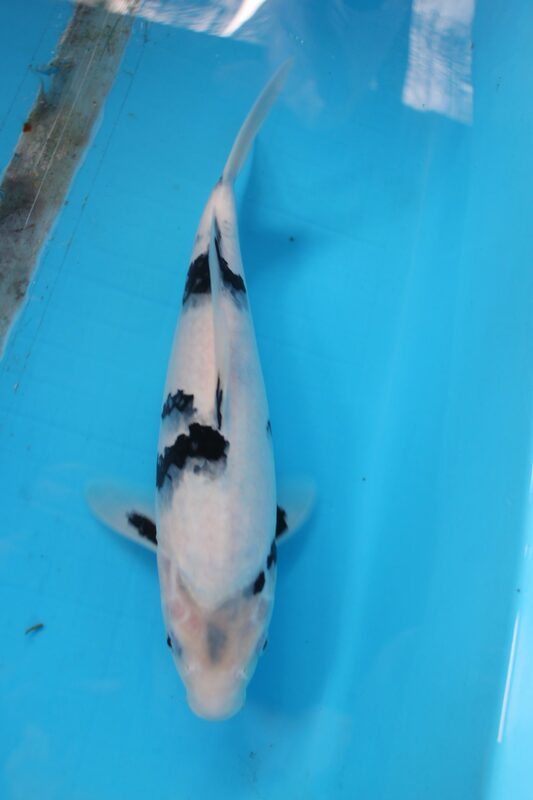 His other entry from Marugen Koi Farm, a striking Kinginrin Shiro Utsuri, came in 2nd in the Kinginrin Class A 20BU category, losing out to the eventual 18th Singapore Koi Show Mini Champion, a Kinginrin Shiro Utsuri also bred by Marugen Koi Farm. 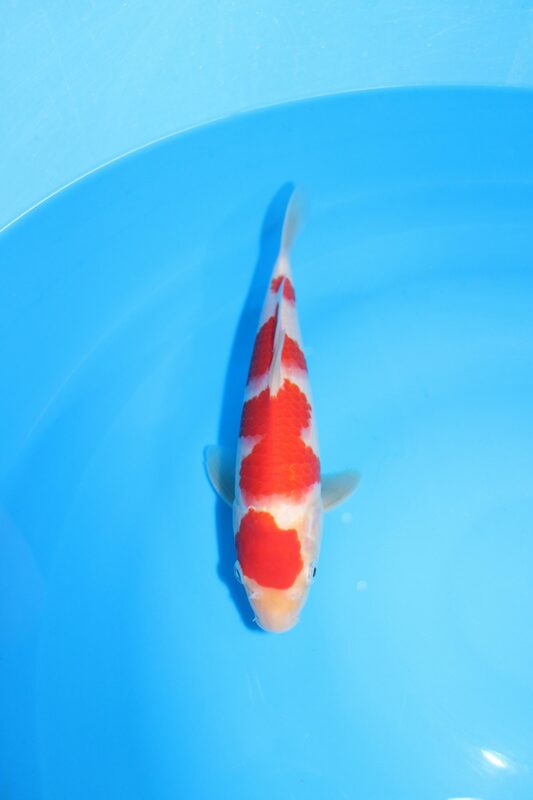 Another 1st Prize winner from Marugen Koi Farm is a lovely kohaku, which won in its 20BU Kohaku category, again beating off extremely intense competition, from very high quality koi entries, mostly Japan imported kois from renowned Japanese koi breeding farms. 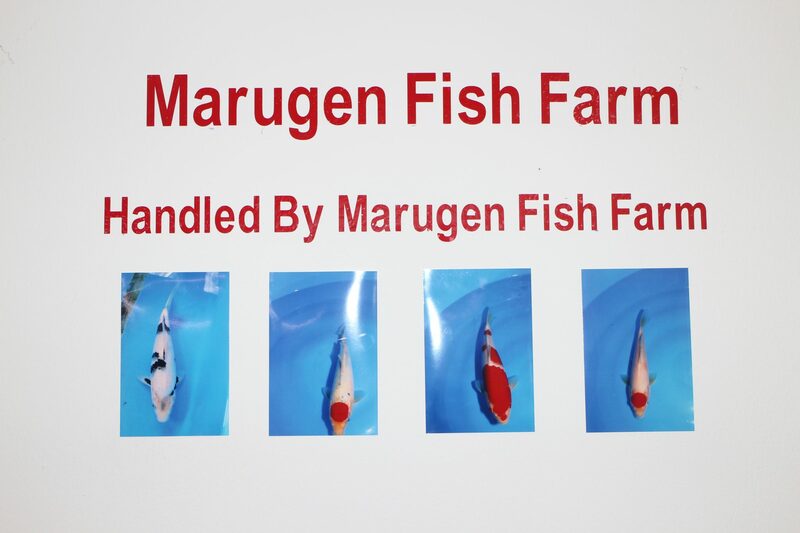 Marugen Koi Farm wishes to congratulate the owner, Mr James See for his continuous support and trust in us. 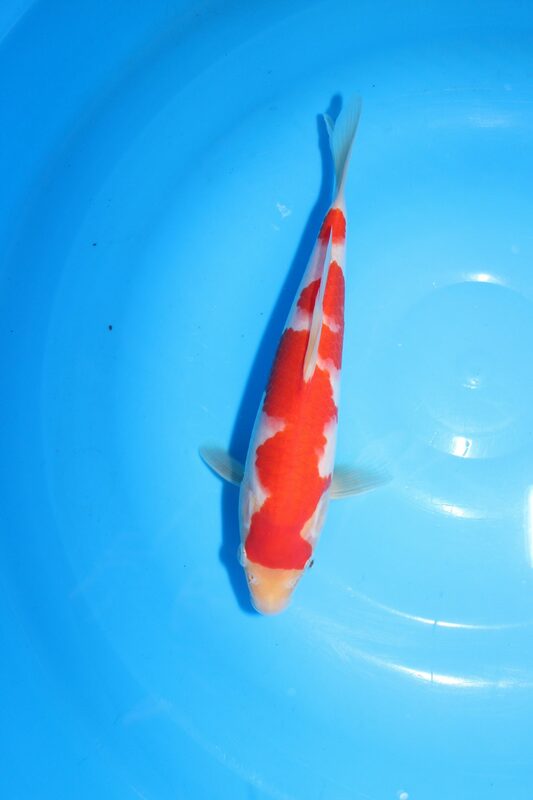 Marugen Koi Farm is also pleased that one of its Taisho Sanke managed to clinch 1st Prize in the 30BU Sanke category. 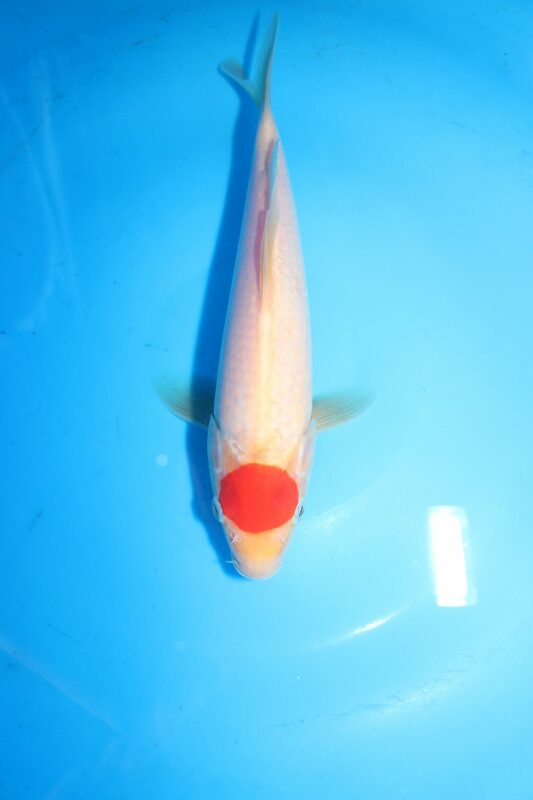 Special thanks also go to Sean, CK Teo, Yap, Vincent Tay, Tay Jing Heng, Steven Ong, Spencer Tan and Wang for their continuous support and trust in our Marugen bred kois. 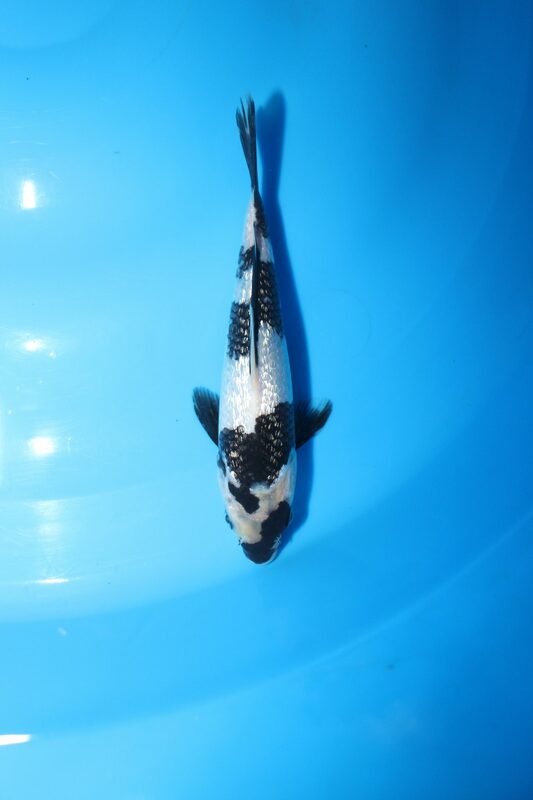 Here are some of their koi entries. 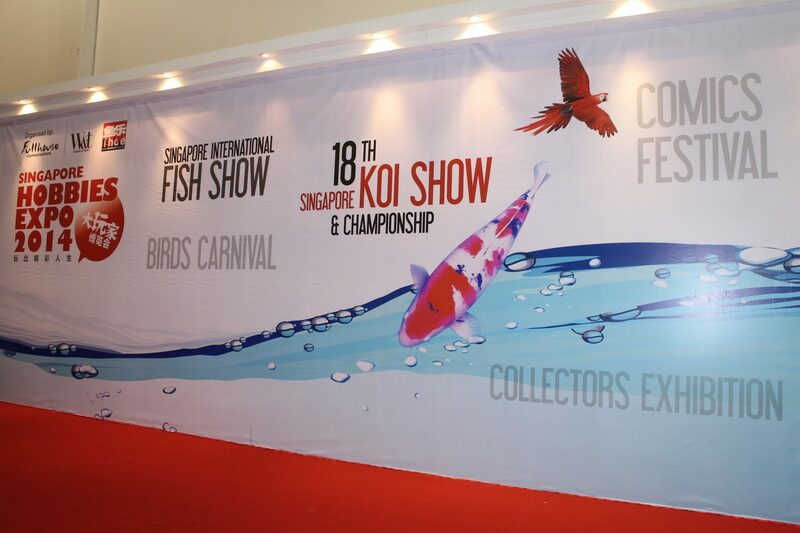 Marugen Koi Farm is also pleased to be able to contribute within its means to the Singapore Koi Club, by sponsoring 4 pieces of Marugen’s bred kois for the koi auction. 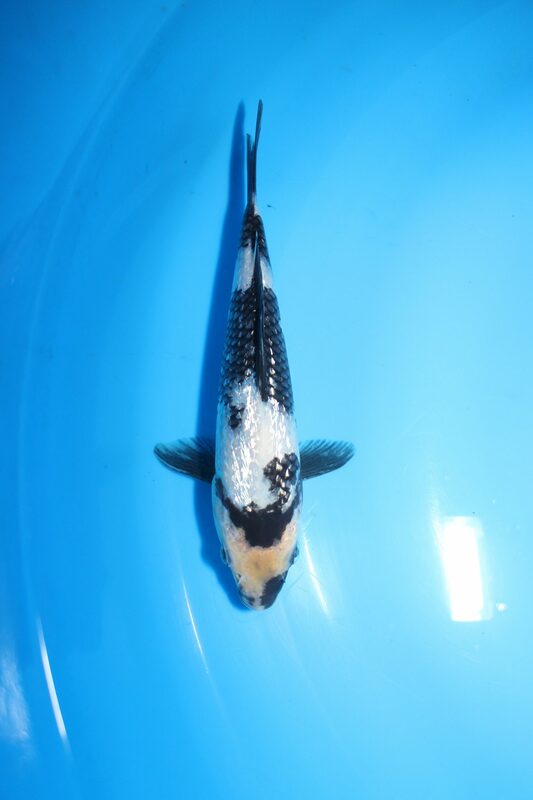 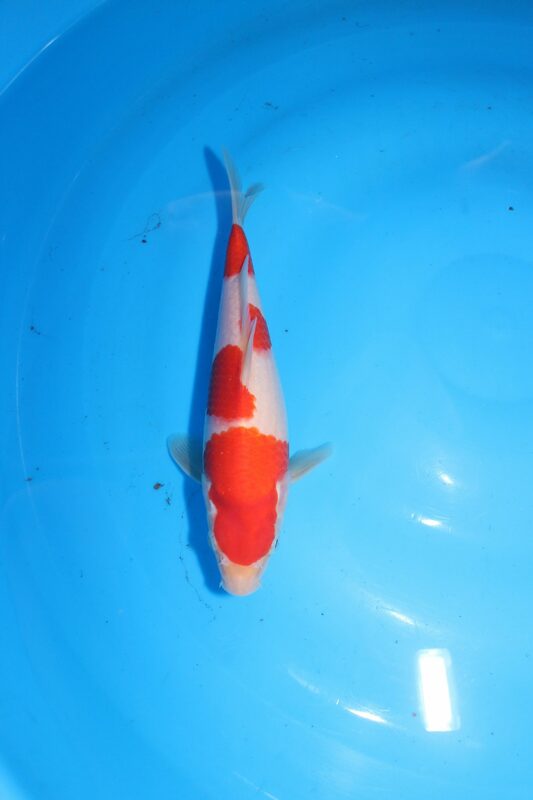 The first koi to enter auction was a 5 months old High Quality Tancho Kohaku, an offspring of “M Tanchozuru“, and proudly bred by Marugen Koi Farm. 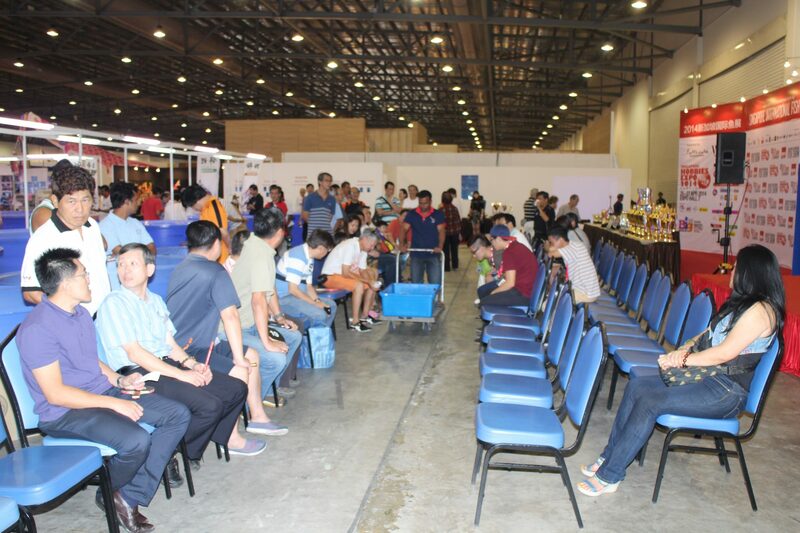 Starting from $0, there was much intense bidding by several bidders, and the bid price quicky went up to the $300++ range, before it was finally snapped up at $400. 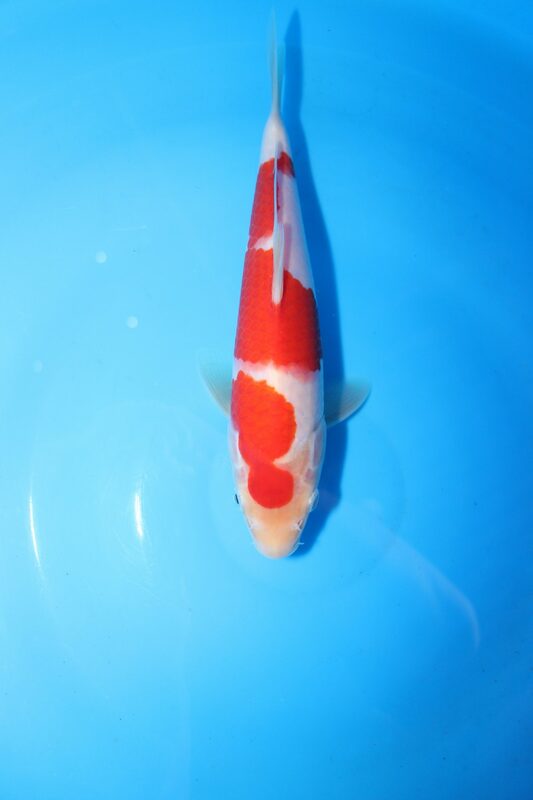 The other 3 auction kois, were also quickly snapped up, and we wish to thank all the bidders, and congratulate the winning bidders for believing in our Marugen bred kois!